Next up in the 'Meet' Series - my chance to interview anyone I would love to meet that is involved in African literature - is Xanelé Puren. A look at Xanelé's bio reveals what a dynamic young woman she is - illustrator, named one of the Mail & Guardian's 200 Young South Africans in 2012, co-founder of the social enterprise See-Saw-Do (which combines the two things she loves: illustration and the wellbeing of children in South Africa) and winner of the inaugural Golden Baobab Prize for African Illustrators. I am just going to come out and say that I am completely inspired by Xanelé Puren's creative activism - and I am very honoured that she took the time to answer my many questions for the series. Enjoy!!! 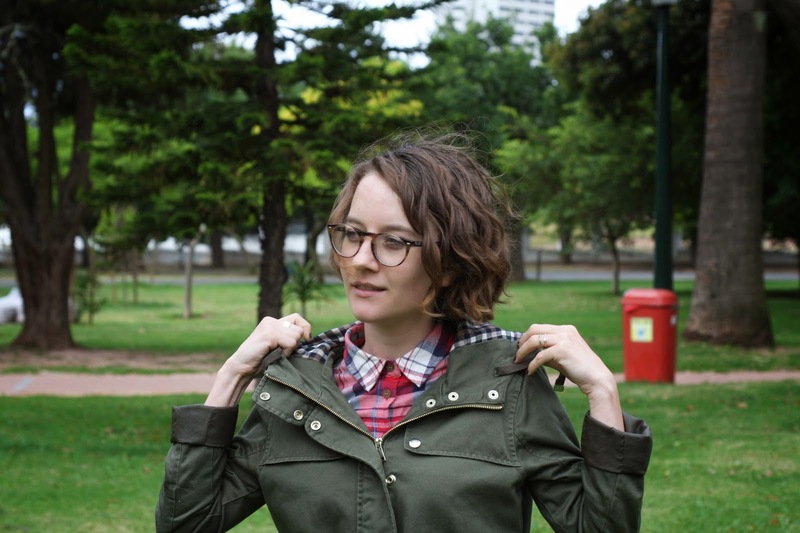 I'm a 26-year-old Capetonian. Mother to a very large and fluffy cat named Bob. Wife to Jeremy, who is not only my life partner, but my business partner as well. Together, Jeremy and I co-founded and run a “child centred” design company called See-Saw-Do. I've always considered myself to be a “creative being”. My mother studied fine arts, so I guess it runs in the family. Illustration in children's books really made me aspire to want to be in the creative industry. I ended up studying Visual Communication Design at Stellenbosch University where I discovered that I have a great passion for illustration. I can't recall the very first picture I drew. I do however recall that I've always loved drawing. At 6 years of age, on my first day at pre-primary, I was extremely excited over my first drawing. I was busy drawing a horse and my picture covered the entire page. The teacher tapped me on the shoulder and told me not to cover the page and suggested that I use less colours, because it was taking too much time. I was quite set aback by that comment and that's probably why I have a vivid memory of what that particular drawing looked like. See-Saw-Do, our design studio, requires a lot more from me than just illustration. We have to manage projects, do site visits and a whole bunch of other things required of us to make the business run smoothly and have a maximum impact on the children and communities we work in. Fortunately, when you live in Cape Town there is always so much happening in the city (first thursdays, rooftop movie screenings, gallery openings etc). I love climbing Lion's Head, all the various hiking trails along Table Mountain. Cape Town has loads of food markets, my personal is the Oranjezicht City Farm Market. We're almost at that market every Saturday morning. How did you become interested in illustrating, and particularly illustrating literature for children? Growing up, my mother used to expose us to many many illustrated story books. These books definitely cultivated an appreciation for illustration and stories. As mentioned in a previous answer, I discovered my true passion for illustration whilst at University. Our final year brief was "design to make a difference" and I decided to focus on designing for children. During that year I designed two books and we beautified 3 Early Childhood Development Centres with relevant educational murals. Currently, I don't focus solely on illustrating children's literature. The illustrations I currently produce are done for See-Saw-Do with the goal to enhance and beautify child environments. I do draw in my free-time as well and apart from designing three of my own books I’ve also illustrated a book for the Joy Bracelet initiative. The JOY Book's vibrant and colourful illustrations by Xanale Puren. What do you love the most about being an illustrator (and illustrating for children)? 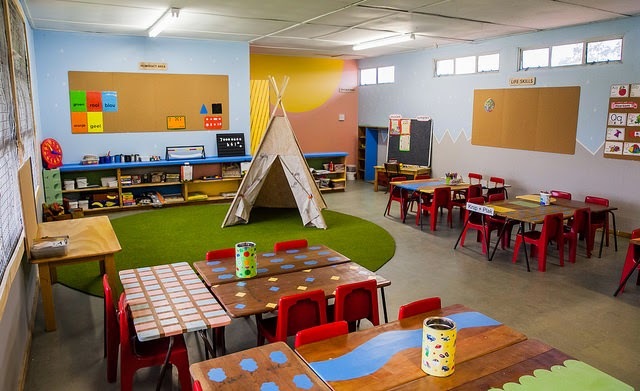 I love investing time and energy into beautifying spaces where children live, learn and play - whether it's through classroom upgrades, and makeovers, illustrations or through an illustrated mural. Being able to create something that will have a positive impact on a child, their play environment, their learning environment or their creativity is extremely rewarding. Your artwork has been described as having a “‘child-like’ playfulness”, where do you get your ideas for your drawings from? Sometimes I have to create illustrations according to a brief. In other cases, I have to come up with themes, design solutions. More often than not, the ideas flow onto paper quite effortlessly. I know that my past, present, the crazy information age that we live in obviously has an impact on the creative mind which in turn has an impact on one's work. Beyond illustrating for children’s literature, you are the co-founder of the social enterprise See-Saw-Do, could you tell us the story behind it? See-Saw-Do was born out of my final year studying Visual Communication Design at Stellenbosch University. Our brief was “design to make a difference” and I decided to focus my energy and creativity on designing for children. I ended up seeing a great need for beautification at local Early childhood development [ECD] centres as well as a need for educational books. 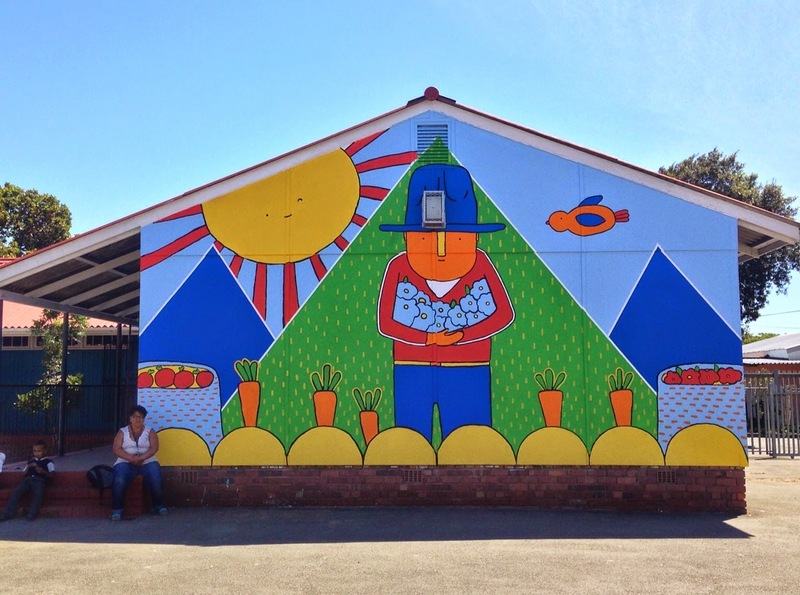 During 2010 I designed 3 English/Xhosa work/image picture books and three relevant themed murals. I entered this idea for the Sappi Ideas that Matter competition and won a grant that funded printing 2000 of my books + running costs to re-paint more ECD centres. This grant gave me the confidence to pursue See-Saw-Do post graduation. My husband (who played a big role in the entire process up to this point) also decided to devote 100% of his time to make this initiative a success and we’ve been running for 4 years. 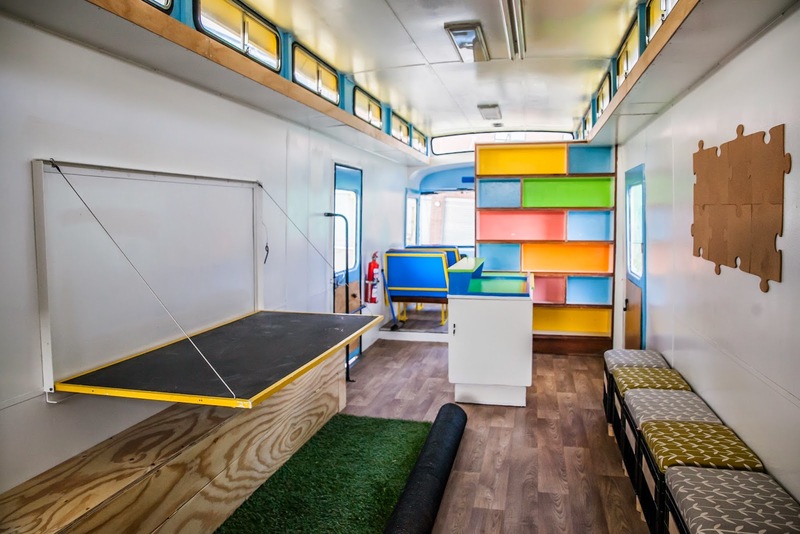 See-Saw-Do has developed into a company that re-imagines and designs beautiful, functional and relevant child environments. Our scope of work includes mural makeovers, spatial upgrades, and interior classroom makeovers. See-Saw-Do beautifies child environments through beautiful, bright relevant themed murals. Interior of a Violence Prevention through Urban Upgrading (VPUU) bus. This year, we will also start working on designing and installing exterior play spaces. We fund our projects by partnering up with corporate companies, NGO’s and our local government. We’re dreaming big and super amped about what the future holds for See-Saw-Do, the creative possibilities and the impact it can have on children's lives. Do you remember which children’s books were your favourite back when you were a young reader and why? I still have quite a few books from my childhood library! I love a tale from Liberia called "The Vingananee and the tree toad", a Russian folk tale "Varenka", "Where the Wild things are" by Maurice Sendak, "Moomin" by Tove Jansson to name but a few. All of these books have beautiful illustrations and captivating stories. 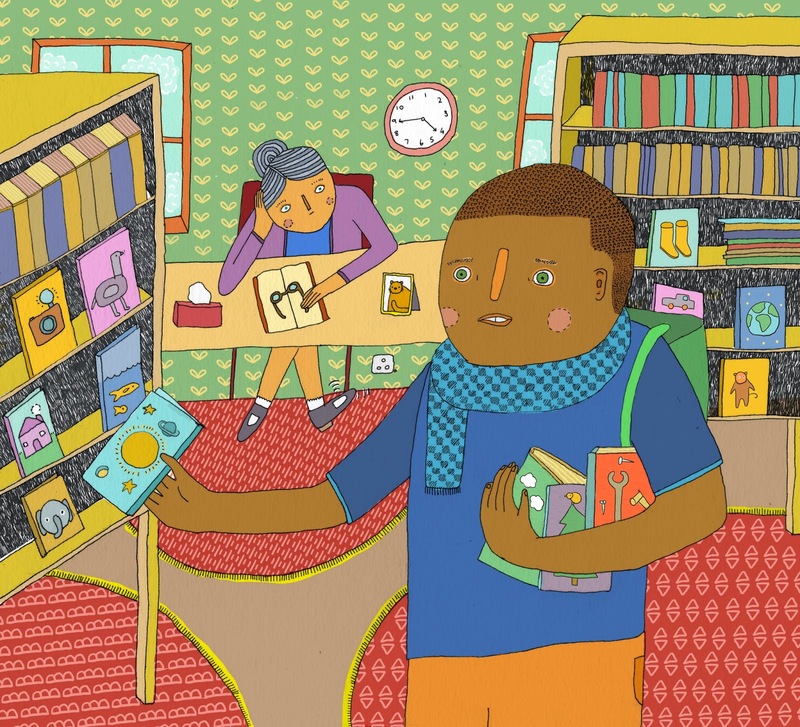 How did you hear about the Golden Baobab Prize for Illustrators? I received a email that was sent out by the Golden Baobab to illustrators and writers who might be interested in participating. Could you tell us about the piece you submitted and the inspiration behind it? We had a very strict brief we had to use to base our illustrations on. Brief number one was "A boy and his little brother are lost in a big city market. The older boy is pulling his brother who is distracted by a chicken." Brief number two: "Jama only had 15 minutes to choose books before the library closed. He could see, out of the corner of his eye, the librarian's foot tapping nearby. But Jama needed to take books his father would believe he was interested in." What was your reaction to winning the inaugural prize? I was super surprised, super stoked and extremely happy! I definitely threw a few air punches! “I am Malala: The girl who stood up for education and was shot by the Taliban” by Malala Yousafzai and “The minor adjustment beauty salon: The Nr1 ladies detective agency” by Alexander Mccall Smith, as well as “Parenting beyond pink and blue” by Christina Spears Brown. I often fall into the trap where I don’t have time to properly browse through books in a bookstore and I end up pick a book with the most aesthetically pleasing cover. I’ve had my fair share of success and failure using this method! A charming book I came across using this method was “In the sea there are crocodiles” by Fabio Geda. One of my personal favourite covers is an illustrated cover by Carson Ellis for a book called “Wildwood”. See-Saw-Do will be moving into a new studio space later this month. I hope to make the space cat friendly to accommodate our extremely social and affectionate cat. We have a few exciting projects lined up and if all goes according to plan, we’ll be expanding our services to include designing and installing multi-sensory play spaces. This will add a new dimension to our work and I’m very excited to see where it will lead us! One of our main beneficiaries, Eldene Primary, will hopefully be the first space to benefit from a new play area.